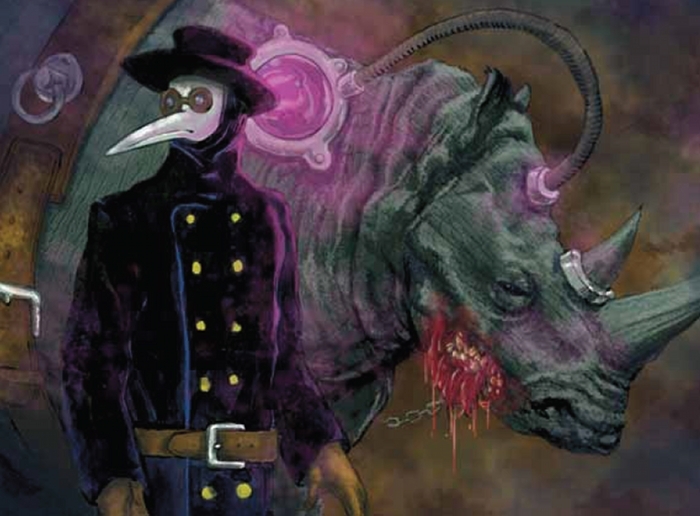 Review: Carnevale – Rhinos Can’t Jump! Who are Vesper-On? They are a new company that seems to have been set up specifically to produce this game and the associated miniatures. However, that makes them sound a bit new to all this. 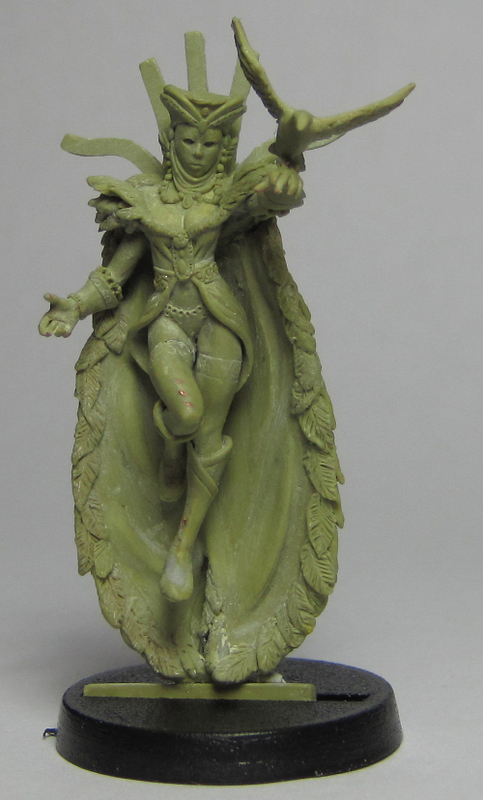 Well, in some ways they are, but they have also drawn on the sculpting talents of a group of veteran and highly respected artists to produce a striking and unusual range of models. 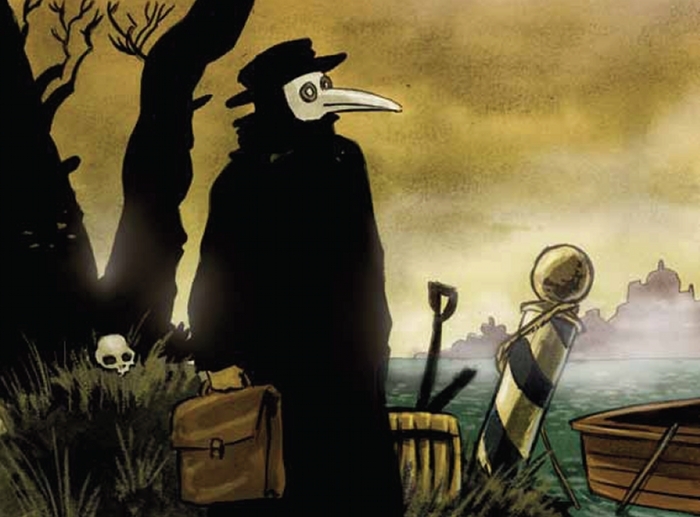 The game is set in an alternate reality version of Venice in 1795. Due to the murderous (lack of) manners of the Vatican agents, most of the Italian population has died and a vast rent has been torn in the sky, through which raw magic now pours. Venice lies on the edge of this cataclysm. 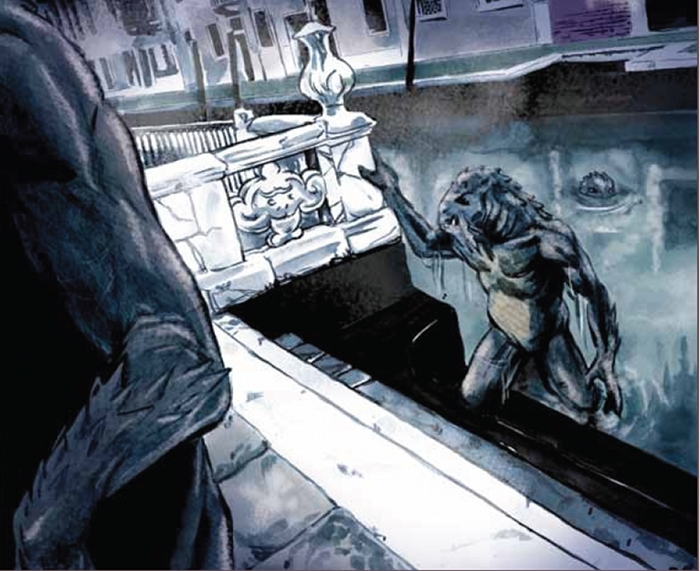 This influx of energy is coupled with the rise of Cthulhu’s minions in the waters of the Venetian lagoon, and between them they have made the soggy streets of that city increasingly dangerous. The gangs (called squads here) that roam the streets are from factions of dissolute nobles, mad doctors, Cthulhu devotees and the guild of thieves. Magic is real and increasingly widely used by all factions. There aren’t really any “good guys”. You can have a look for yourself on Vesper-On’s website, so I won’t go into too much detail here. Suffice to say that this is a D10 system of alternate activation of individual models. Each model has a number of actions they can do in a turn, and must do all those actions when it is their go. Most stats are dice pools which tell you how many D10 to roll. One dice in every roll is called a destiny dice and determines criticals and fumbles. The rest are rolled against 7 or an opposing stat (whichever is higher) with the aim to equal or beat it. Each success is an Ace. The number of Aces is then modified further to work out whether you have damaged your target, jumped the canal, etc. So, if I roll 3 dice and get 8, 9, 3 then I’ve got 2 successes, or Aces. If your protection (armour) is 2 then this is reduced to zero so I do no damage. 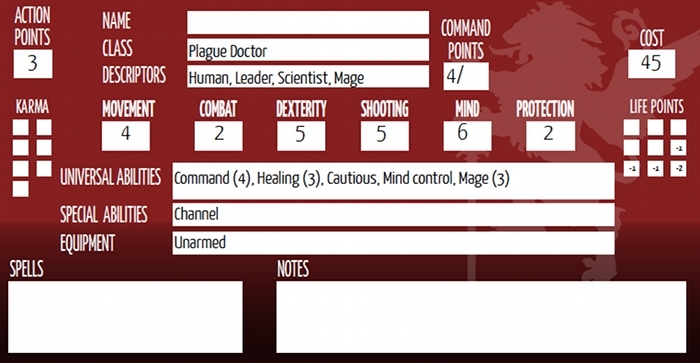 During the game you have to track life points (hit points/wounds/etc) by crossing off the boxes on the right of your character sheet (each model needs a character sheet, which may get to be a bit of a space hog if you have a lot of models). As you drop in health you eventually get to boxes that cause you to take penalties to your stats. The term for crossing from one level of modifier to another is called pain threshold and I found the explanation for this a little fuzzy, though I think I got it in the end. It actually seems to be a lot simpler than it is made out. There is also a resource to manage called Karma. This allows you to do special stuff like add extra dice to rolls. When you spend it is important, and it only comes back very slowly. However, it can easily make the difference between a crippled target and a barely wounded one. The name is hugely misleading as the only way (apart from scenario special rules) you get it back is by killing things – not at all the normal use of the word. The rules for movement, swimming, and special combat moves are all simple enough to follow and shouldn’t cause any issues for someone who has played a skirmish game before. There are also a stack of skills that allow models to bend the rules in various ways. Again, nothing to surprise an experienced gamer. One thing that is a little unusual is the freedom to add equipment to your models. This is simply bought from a shopping list and includes narcotics and venom as well as magic items. Oddly, in a basic game you can’t buy extra weapons or armour, but you can have magic items. This is one area of the rules where the cheese detector flickered rather alarmingly. The game can be played in one of the scenarios provided or as a campaign. Rules are given to link scenarios together as well as explaining how characters can progress as they go. This is reminiscent of Mordheim or Necromunda’s system. All told, the rules are relatively involved, on a par with Confrontation, Helldorado or Bushido rather than Song of Blades & Heroes. They are a very similar level of complexity, offer similar tactical options during play and feel very familiar overall. Whilst you will have to deal with the occasional odd translation (and a large number of typos) the rules themselves will not offer many new confusions (or challenges, unfortunately) for experienced gamers. The rules suffer from being translated as is often the case. Some parts were a little less clear than they might have been, but overall the fact that the rules themselves were so familiar made it easy enough to follow. If you’ve played a skirmish game or two before then you’ll probably be pretty close if you just guess what the rules should do. I had a couple of goes messing about with small numbers of models to get a vague idea of the rules, and then we played a game with the Cthulhu fans against the Doctors. As we were mainly getting to grips with the rules, scenery was limited to a canal down one side, which proved to be a bit of a pain for me (as the Doctors). I don’t think that more scenery would have made any difference as we we just playing the basic fight. The monstrosities were made up of a boss and some deep ones. I took a doctor, a couple of madmen and a remote controlled rhino. The game played out pretty much as we expected, and the rules worked smoothly enough. Our only real problems were in deciding exactly what the pain threshold meant and how crazy the madmen were. In the end I think the rules make quite a meal out of pain threshold, which is, in reality, a simple concept. Perhaps it’s a translation thing. The real issue was that one of the skills for the madmen hadn’t been translated, so I was left to surf online and try to work out what the translation might have been. Predictably the first 3 online translators gave me a different answer, none of which matched any of the skill names. In the end we agreed, but it could have been more than one skill. That needs to be added to their FAQ/Errata. The deep ones were scary, my madmen were crazy and the rhino did a nice job of stomping on things till it got swamped (hem, hem) by the deep ones. Ganging up on people is horrendously powerful. The stats for the different beasties gave them a distinct feel, which was good, and the game rolled along reasonably happily with few mechanical hiccups. Nice as the rhino is, I wouldn’t take it again in a small game. Outnumbering is too potent to miss out on the advantage of swarms of troops. I could have had 5 more madmen. As with everything else, there are pros and cons, and probably the clearest summary is to list these. But before I do, my brief conclusion is that it is a solid, but unexceptional game, which works as well as, but no better than, Helldorado, Confrontation, Bushido or half a dozen others. It’s very much of that ilk. Whether it is the game for you or not really depends not on the unremarkable rules, but on whether you are drawn in by the models and the background they live in. That’s the real hook here. Pro: it’s a different setting from the norm. Pro: the game plays fairly smoothly. Pro: there are some lovely models (and you don’t get to stomp folk with a rhino very often). Pro: there are lots of story elements to the game, and there will be great tales to tell after a battle. The scenarios, variable equipment, campaign rules, etc all help this. Pro: you have lots of opportunity to tailor a squad to your own taste by varying equipment and magic as well as troops. Con: the game is a bit scatter-shot. It feels as though the designer has tried to get everything into one game rather than spread it across 2 or 3. The nearest thing it has to a strong central theme is 18th century Venice itself, and for me that ends up fighting with Cthulhu, magic, “super powers”, etc. We’ve seen all these other things before, and I think these familiar bits really weaken the strength of the theme. 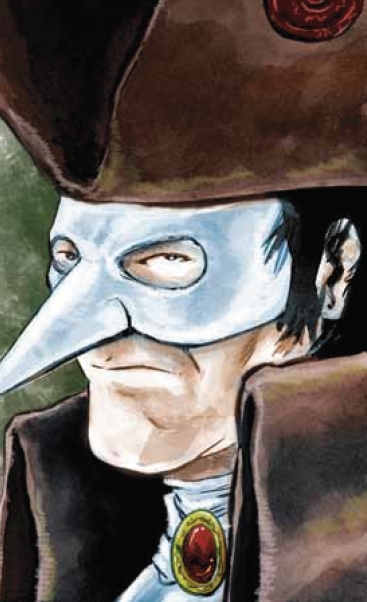 Instead of supporting the originality they dilute the evocative idea of Venice and the masquerade. There are some darlings in here that need to feel the knife. Con: because there is so much flexibility in equipment and magic as well as troops, it is inevitable that some combinations are much more powerful than others, and there are very likely to be balance issues. I’ve already had some discussions with people about horribly dangerous combinations. Con: the game isn’t nearly as immersive as it should (and could) be. The combination of background, models, rules, language, art, graphics and everything else should combine to draw you into the world of a game. Here it feels as though many of those elements are fighting against each other. This isn’t a con for players who are sold on it regardless, but it doesn’t help draw people in as it might have done, which is a pity. Con: there are lots of typos in the rules. These are generally just sloppy rather than problematical, though one skill on the madmen wasn’t translated so we had to guess what it should have been. This was not in the FAQ or Errata and did cause minor issues in play. Con: because it is a unique setting for a game, you’re going to need a completely new set of scenery for it. Urban 18th century Venice isn’t something most people will have lying about, and you will certainly need something. This entry was posted in Review, Tabletop gaming. Bookmark the permalink. 11 Responses to Review: Carnevale – Rhinos Can’t Jump! If you tell me which text was unstranlated I could translate it for you, since I’m spanish. Thanks Mr Numbers. The skill was “Temerario”, which I guessed was the skill Reckless in English. Yes, I’ve checked both rulebooks and you guessed correctly. Temerario is the same skill as reckless. Thanks for the comprehensive review Jake. Glad to hear it was the rules that had a few niggles and not the fluff. Otherwise you’d have to answer to my wife… She might be small… But she’s mean! The only real problem in terms of understanding was the name of the skill mentioned above. The rest was just typos, errant caps, etc, which doesn’t look very professional, but which is usually comprehensible. There’s enough in here to make a Venetian blind ! Excellent and thorough review, by the way ! 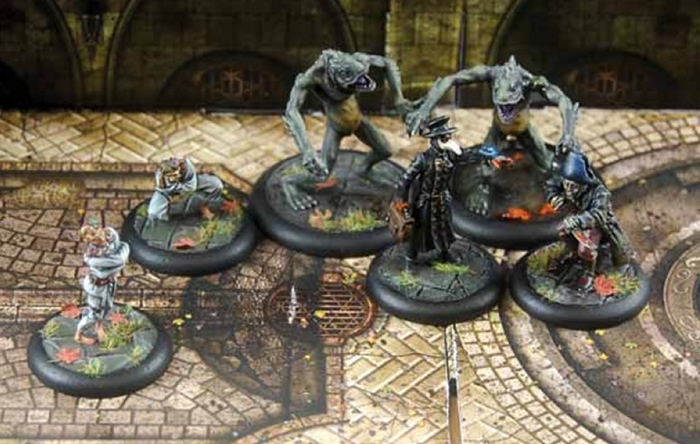 I’ve loved the look of the minis since I saw them on the Wayland newsletter a few weeks back. Was hoping it’d be a better ruleset to give me a reason to play it ahead of Malifaux, Infinity, Helldorado etc. Actually, if you’ve already played them all then you may well have a preference for one set of mechanics over another. I just think that in terms of starting from scratch you’re best bet is to pick the one that has your fave models in. 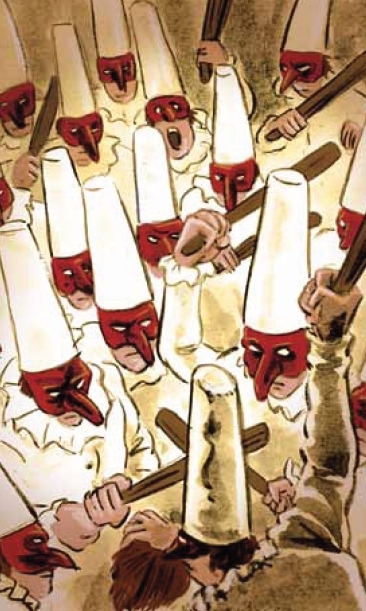 Pingback: Two more for my wishlist: Carnevale and Bushido » ¡bitzkrieg!